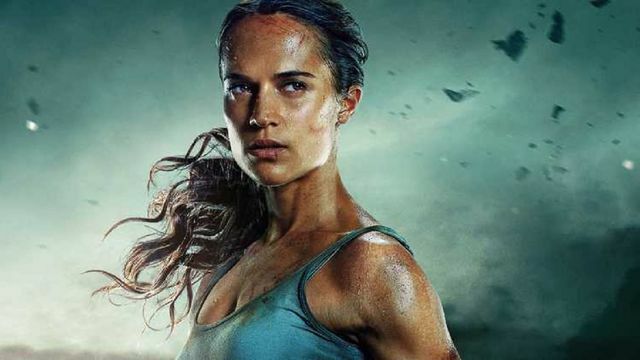 The latest Tomb Raider didn’t offer the most promising start to a new Lara Croft-led franchise when it hit theaters last year. Regardless, MGM is committed to producing a sequel, and a script is currently underway. According to The Hollywood Reporter, the studio has just tapped Amy Jump to pen the iconic video game heroine’s next cinematic adventure. Jump made her screenwriting debut with 2011’s Kill List. which began her virtually exclusive collaborative partnership with her husband, director Ben Wheatley. She also wrote the 2015 adaptation of J.G. Ballard’s High-Rise and 2016’s Free Fire, which starred Sharlto Copely, Brie Larson, and Armie Hammer. Both films were directed by Wheatley. RELATED: Shadow of the Tomb Raider Gear Guide and Tank Top Pattern Revealed! With Alicia Vikander starring as Lara Croft, Tomb Raider drew influence from the 2013 reboot of the video game series. The game served as a complete reinvention of the title character, placing emphasis her survivalist capabilities. However, the film was dogged by mixed reviews and underperformed at the box office. That’s why any plans for a sequel are surprising. Jump will replace the first movie’s writing team of Geneva Robertson-Dworet (Captain Marvel) and Alastair Siddons. Vikander is expected to reprise her role, but there’s no mention of Roar Uthaug returning to the director’s chair. It’s possible that the new film will follow the plot of 2015’s Rise of the Tomb Raider. However, it’s anyone’s guess at this point where the filmmakers plan on taking the series from here. What do you make of MGM’s decision to hire Amy Jump to write Tomb Raider 2? Who would you pick to direct the film? Tell us your thoughts in the comment section below!